CGG Sports Facilities Engineering Co., Ltd. was established in 2009. 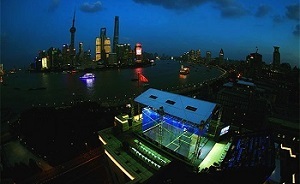 One of the pioneer involving design and build squash courts in China. The company has carefully developed its expertise in a range of products and services, and operates throughout China and Asia. CGG Sports Facilities Engineering Co., Ltd is also one of few companies around the world and first in Asia received accreditation by World Squash Federation (WSF). Our company is honorable to be the partner of Asian Squash Federation (ASF) and China Squash Association (CSA) China. Over the years we have expanded our service portfolio to squash court construction, reconstruction and remodeling, and a number of other specialist services. These are all carried out by our highly skilled and dedicated personnel to provide good quality product at competitive prices. The company’s All-glass Squash Court has been designed and built since 2013. Complete the trademark registration in January 2016 in China Business Bureau. With our passion for innovation, we can create further assessment and commerce achievement for squash industry. We introduced the first pink glass court in Galleria Shopping Mall that was built in 2015. A stunning purple glass court was built in Olympia 66 in 2016 to promote WSF Ambassadors Program in Dalian. 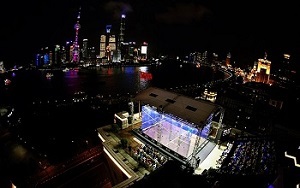 CGG All-glass Squash Court is used for major tournaments featuring in China such as China Squash Open and supplied to Japan Squash Association (JSA). It featured in Asia Games 2018 held in Jakarta, Indonesia. As well as WSF Women World Team Championship 2018 held in Dalian, China. The company has achieved good performance and social credibility throughout the years. CGG Sports Facilities Engineering Co., Ltd aims to provide product and services of the highest possible quality and to deliver effectively. We aim to provide proficient solutions to our customers’ requirements and guarantee that our product will develop the sporting experience and also develop potential business. copy right © All right Reserved by CGG Sports Facilities Engineering Co., Ltd.